I am at the halfway point in the 30-day challenge :). I am feeling pretty good. I went for a run this morning after breakfast. My knee was only a little sore, and I’m hoping to up my running next week, though it won’t happen the first few days. 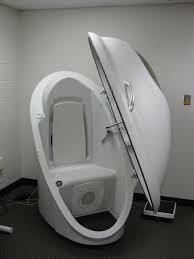 On Monday, I have physical therapy, and Tuesday, I have my Bod Pod Assessment. I’m really excited for this, and a little bit nervous. Body composition is one of the best indicators of overall health. Because the BOD POD is highly accurate, it can detect even small changes in body fat and lean body mass (i.e., muscle, bones and organs). Finding your unique daily caloric intake number starts with a measurement of your lean muscle mass percentage. Your BOD POD results are used to calculate metabolic numbers like Resting Metabolic Rate (RMR) and Total Energy Expenditure (TEE). Your RMR determines how much energy your body uses to support its basic functions. TEE is an estimate based on your RMR and daily activity level, of how many calories you burn in a given day. Basically this test will give me a precise number of calories I should take in each day based on my body fat and lean body mass. Unfortunately, I can’t eat, drink, or workout two hours before the assessment. I have the assessment scheduled at 9:00 AM on Tuesday. As long as the assessment doesn’t take too long, I should be able to do my run afterwards.